I don’t know who set the tradition of having eggs on breakfast but whoever be the person he/she must be a wise person. After all it is because of him we try to gobble up eggs in our breakfast. But I’m not a regular egg eater in the morning. So whenever I have eggs I try to make it special. Actually anything other than omelet or poach or boiled egg. 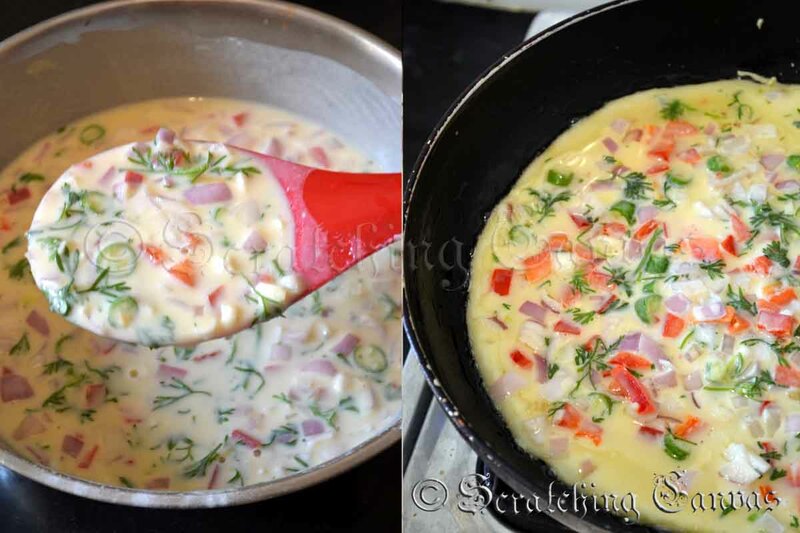 I had already shared a beautiful breakfast recipe of Frittata with eggs and milk. This time I’m going with Savory Egg Pancake. These pancakes are very special to me as they are full with my childhood memories. My mother used to make these pancakes very often to feed us the goodness of eggs and milk. And she used to make sure that we don’t have the same pancake twice. She is always game with experiments and pancake was not an exception. Mostly we used to have pancakes during winter. In the summer due to the hot and humid weather we had to request for longer period to get a pancake. On those days my mother used to serve them as breakfast with simple tomato ketchup or any homemade spicy chutney. 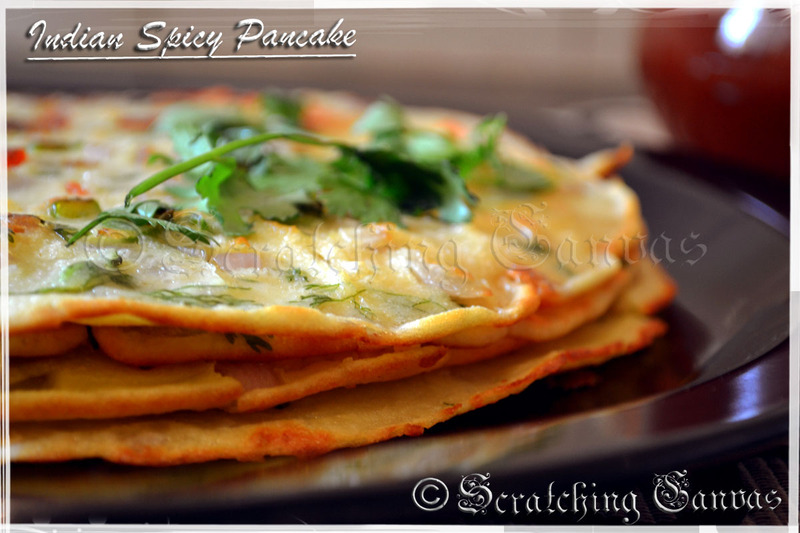 On the other hand we used to get curry or gravy preparations with pancakes when it was served as dinner. Now little gyan (information) time on pancakes. 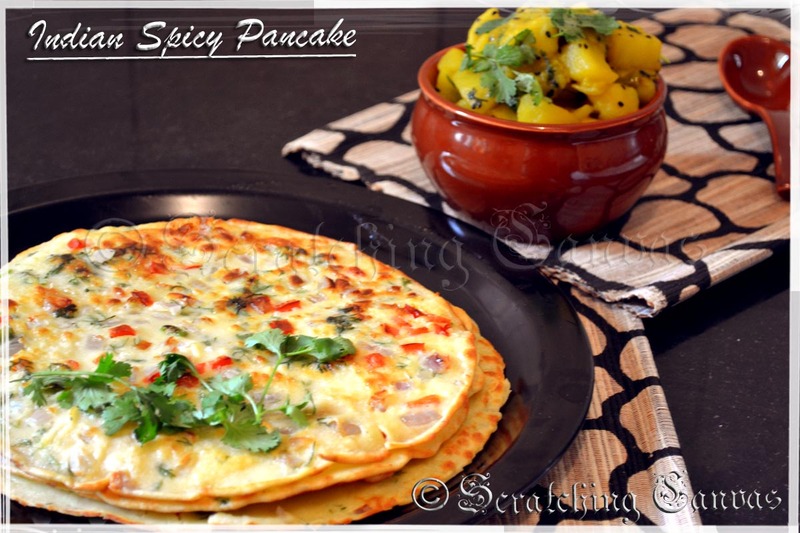 Pancakes are basically flat, thin round shaped cakes which are cooked on frying pan. 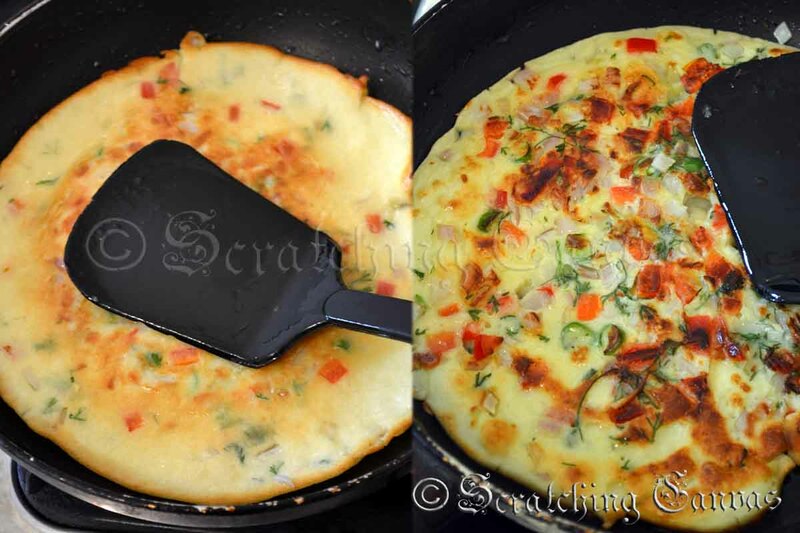 it is very much familiar with omelet, only difference is in pancake all-purpose flour and vegetables are combined with the eggs and milk. 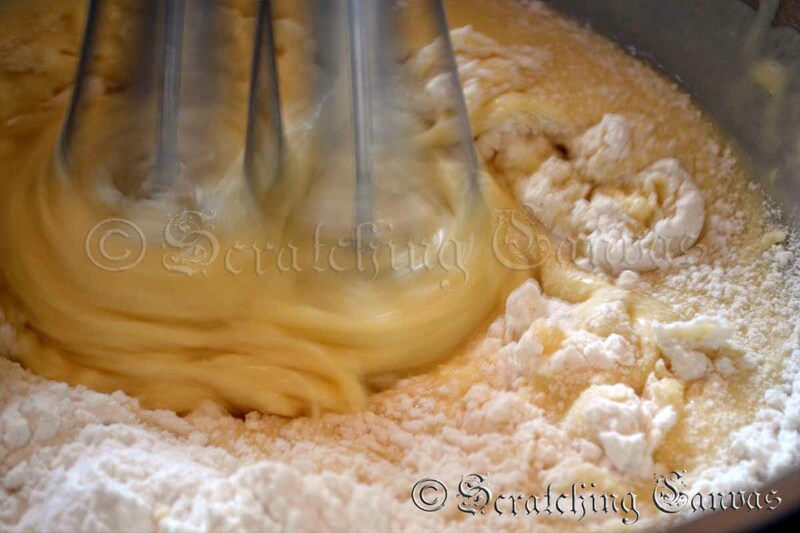 Sometimes baking powder or yeast are used to ferment and cooked as bread. Pancakes can be eaten as both sweet and savory. Pancakes are so popular that almost every country, every cuisine has their own version of it to satisfy their very own taste. Even our own India has more than 20 types of pancakes across the country. These Indian versions may not be familiar to us as pancakes but you can identify them easily with names like Dosa, Uttapam, Malpua, Pooda, Pitha etc. 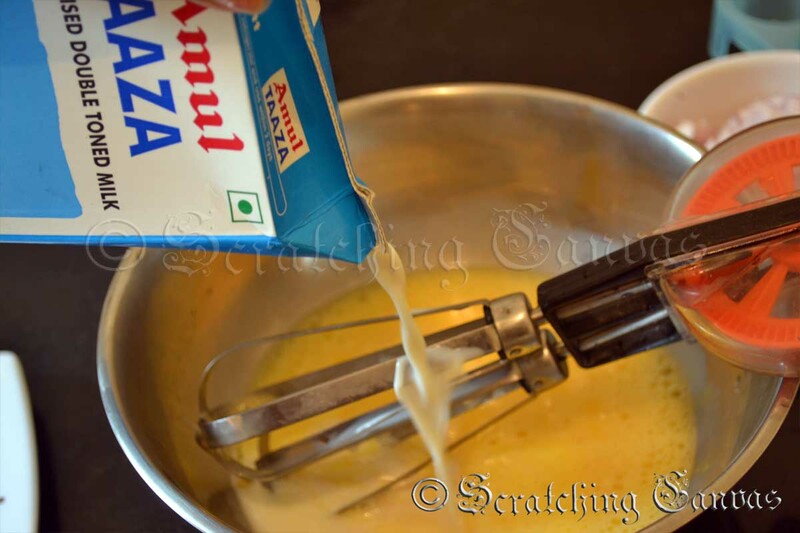 In India pancake ingredients are not only limited to eggs, milk and flour. 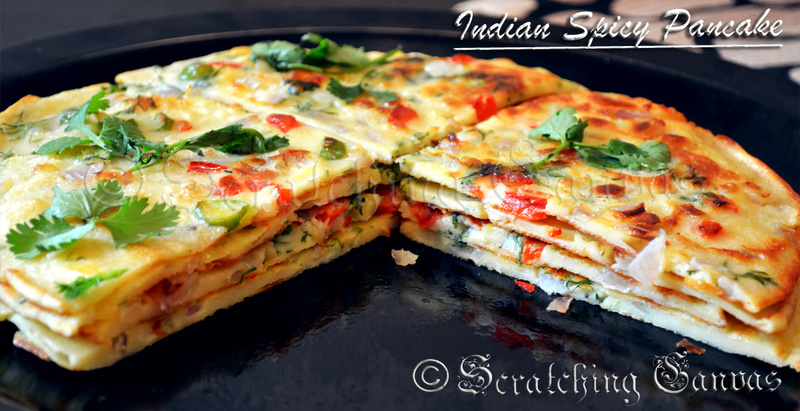 Here rice flour, lentils flour, gram flour are widely used to make Indian versions of pancakes. Nevertheless they are all extremely delicious. 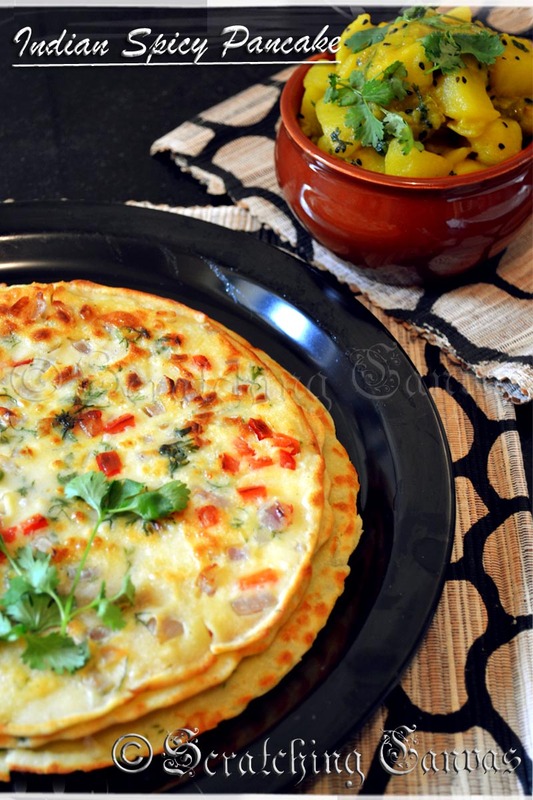 Today I’m sharing the recipe of basic Indian flavored savory Egg Pancake with onion, bell peppers and coriander leaves. Also add baking powder and keep beating. Make a tight yet smooth thick paste. Pour remaining milk into the batter little by little and keep mixing slowly. It will help to avoid lumps. 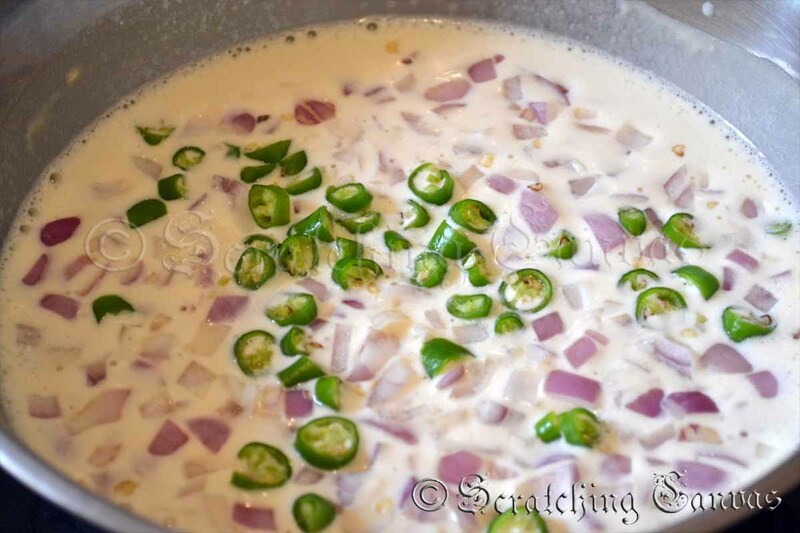 Drop finely chopped onion and green chillies. Mix well with the batter. 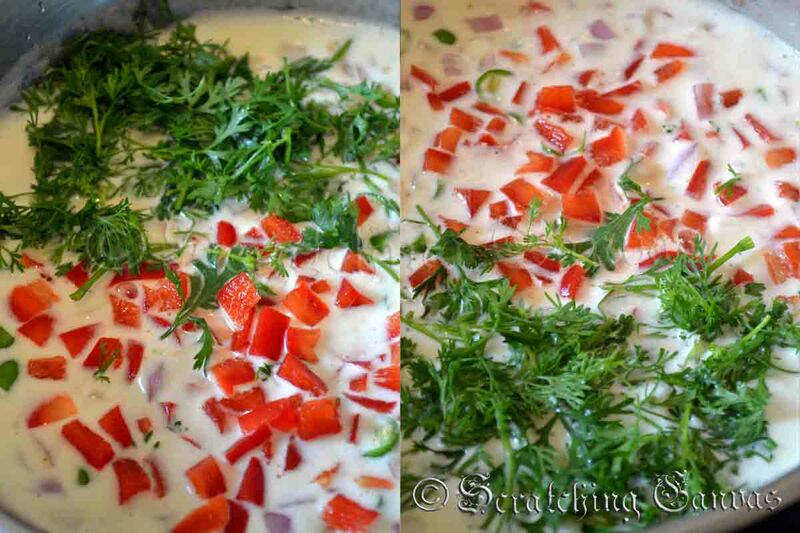 Now add bell peppers and coriander leaves along with salt and sugar. 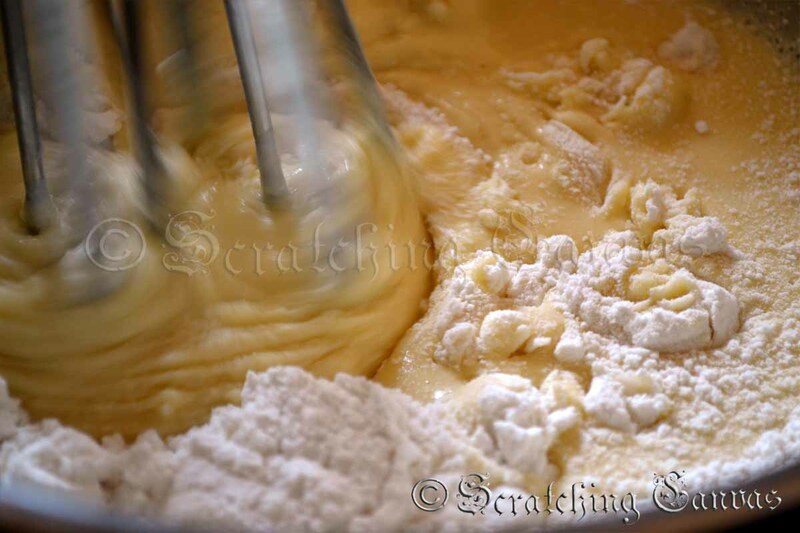 Mix the entire batter with a light hand and keep aside for 5 mins. 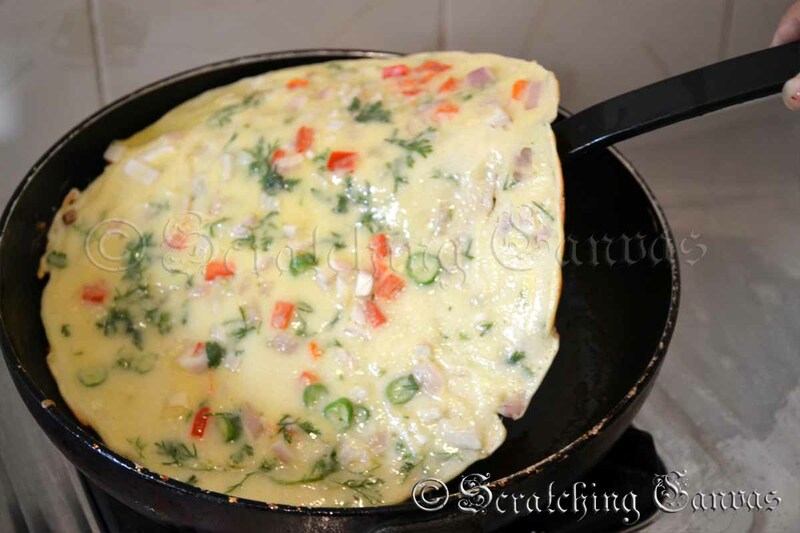 Take a large nonstick pan or flat pan (tava/tawa). Grease the pan with 1 tsp of oil let it heat on medium flame. 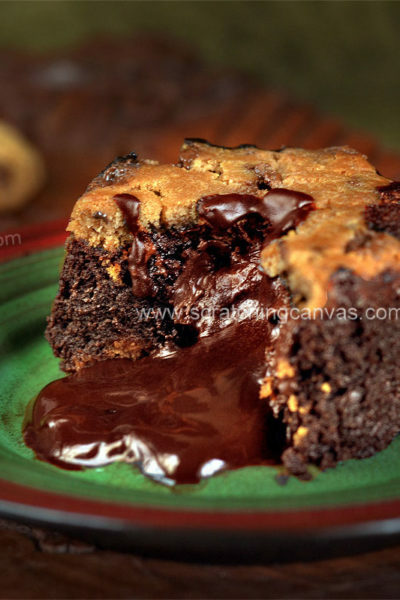 Once the pan is hot take a large spoonful of the batter and pour it into the hot pan. Now rotate the pan to cover the bottom of the pan with the batter. 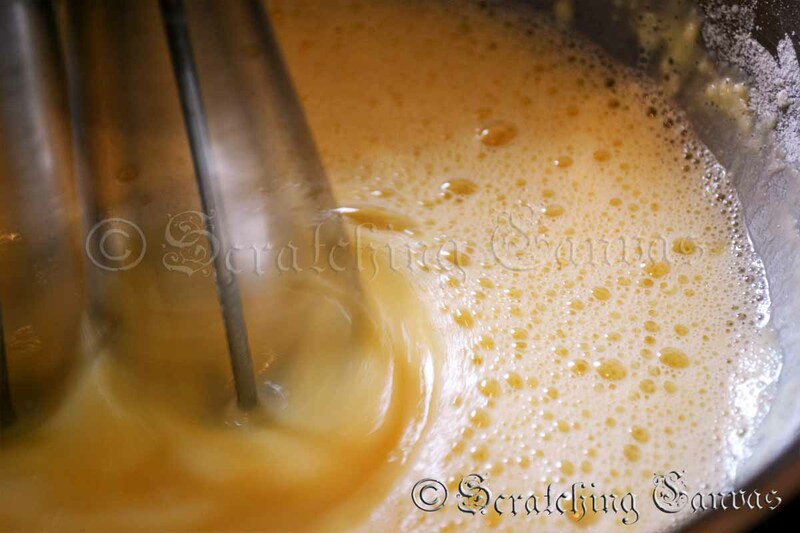 Pour little more batter if necessary. Once the reverse side gets cooked flip once again and make sure both sides are done nicely. Serve hot with Salsa Sauce or Rajasthani Lahsun ki Chutney or simple Tomato Ketchup. If you are serving it as full course meal, don’t forget to make Alur Dom. I enlightened my dinner table with Non Veg Alur Dom or Dry Potato Curry with Onion and Coriander leaves. 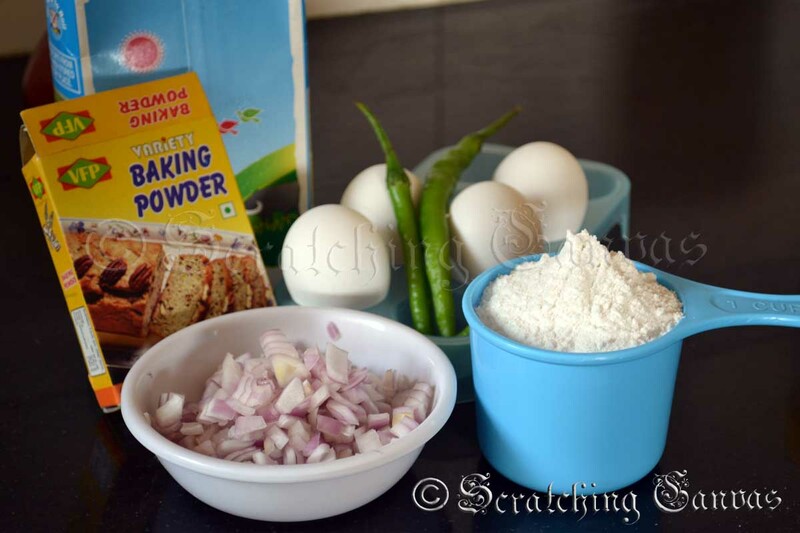 If you don’t want to use onion you can serve with Strictly Veg Spicy Dry Potato without onion and garlic. 1. 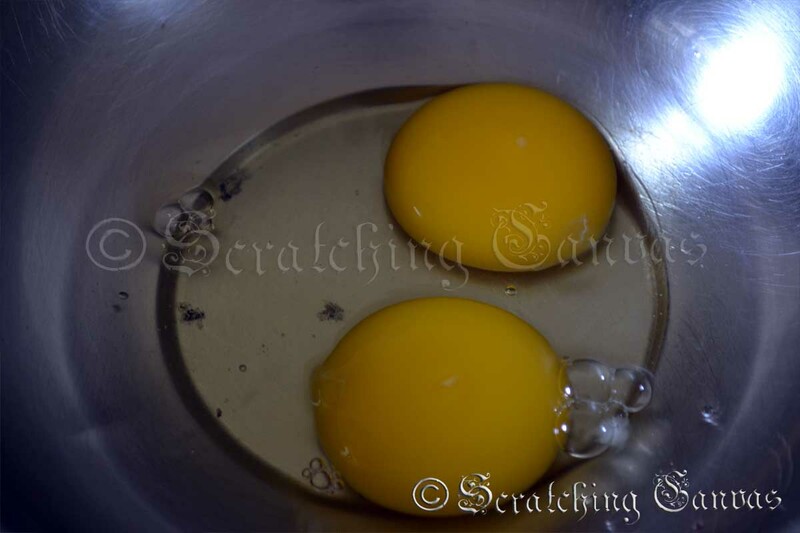 At first add little milk into the beaten egg to dilute the batter. Don’t use more than 2-3 tbsp of milk. 2. Don’t ever add entire milk before you add flour. These will produce a large numbers of unavoidable lumps in your batter and these lumps will ruin your dish. 3. Don’t overcook the egg. This will yield pancakes with rubbery texture. 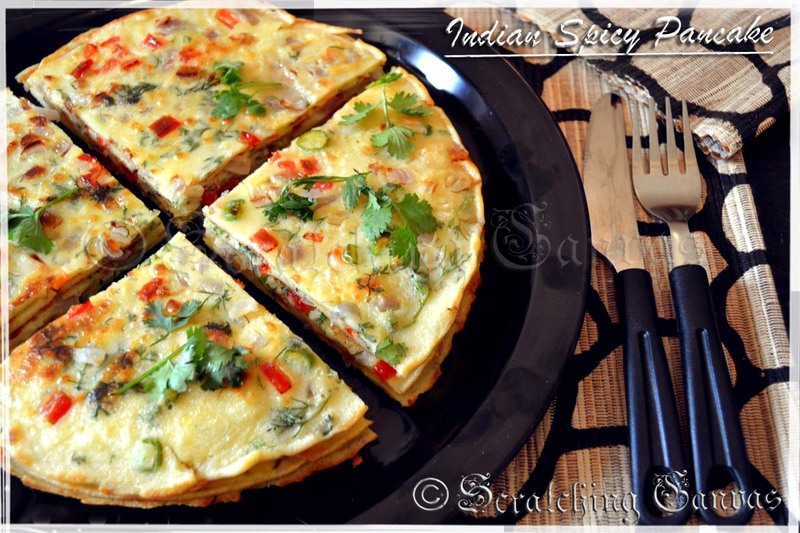 Such a good idea to have these eggi pancakes..Am totally fida over eggs..